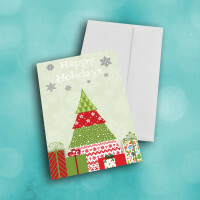 Give the gift of kind words and wishes with this festive Christmas card. 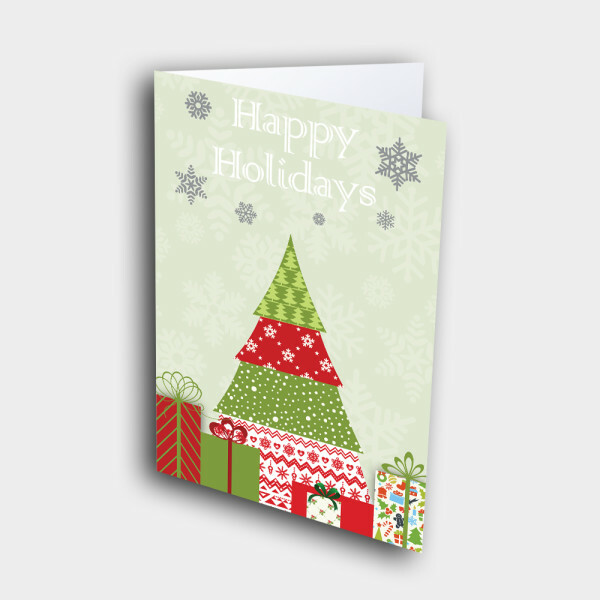 There is nothing more festive than presents under the Christmas tree, and this card captures that spirit. 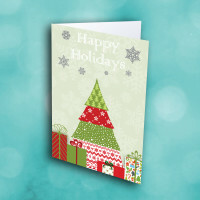 With its multi-patterned tree, and individually wrapped presents, all set against a wintery, snowflake backdrop, this is the perfect card to send to those who are important to you. 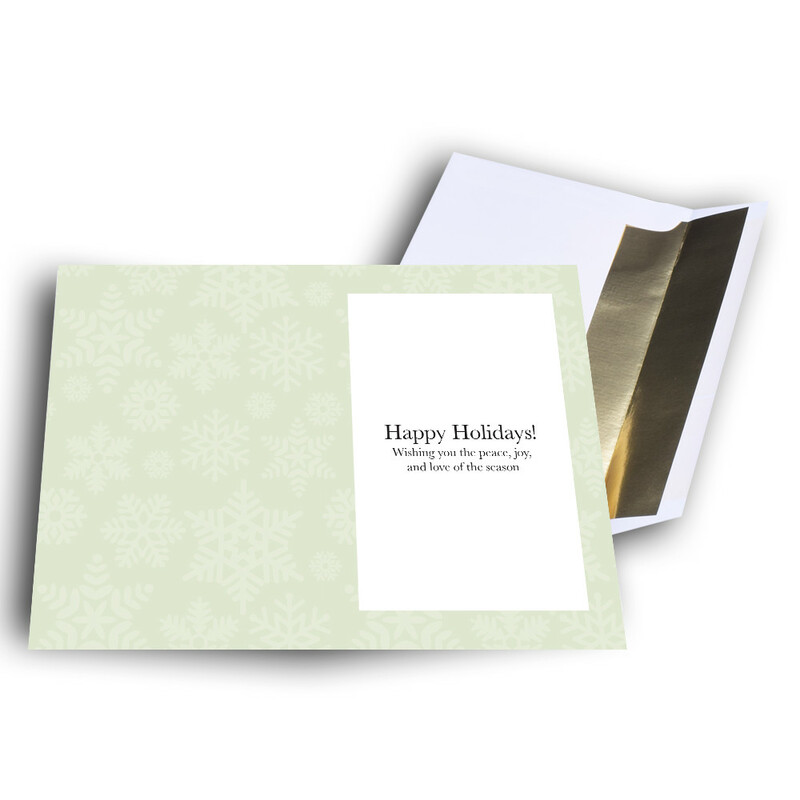 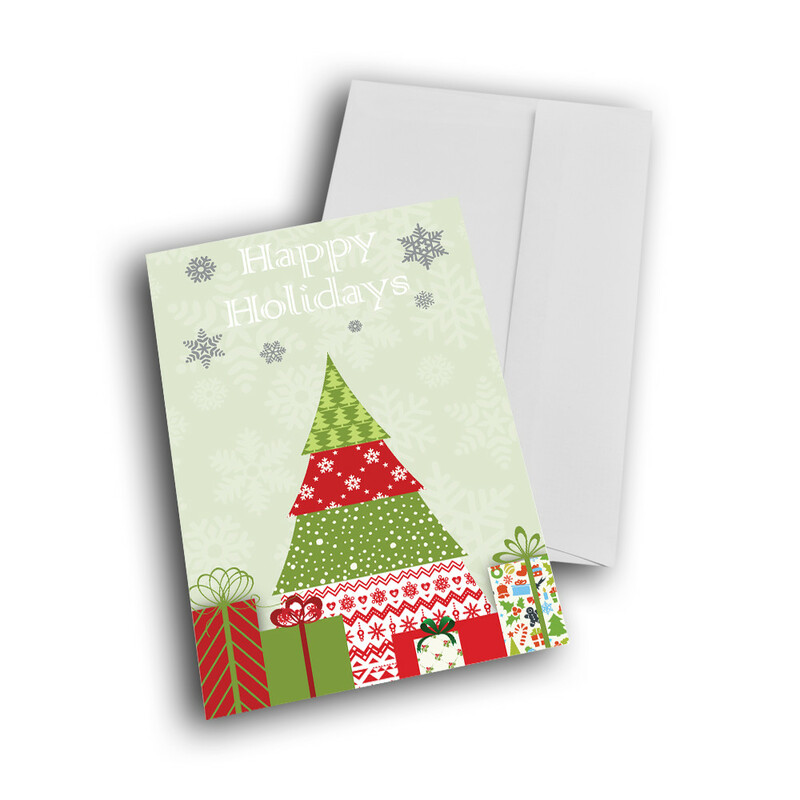 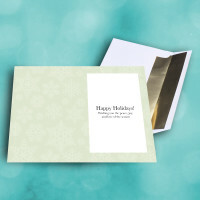 Personalize a message inside to create a Christmas card that's especially unique and meaningful.